A.F. 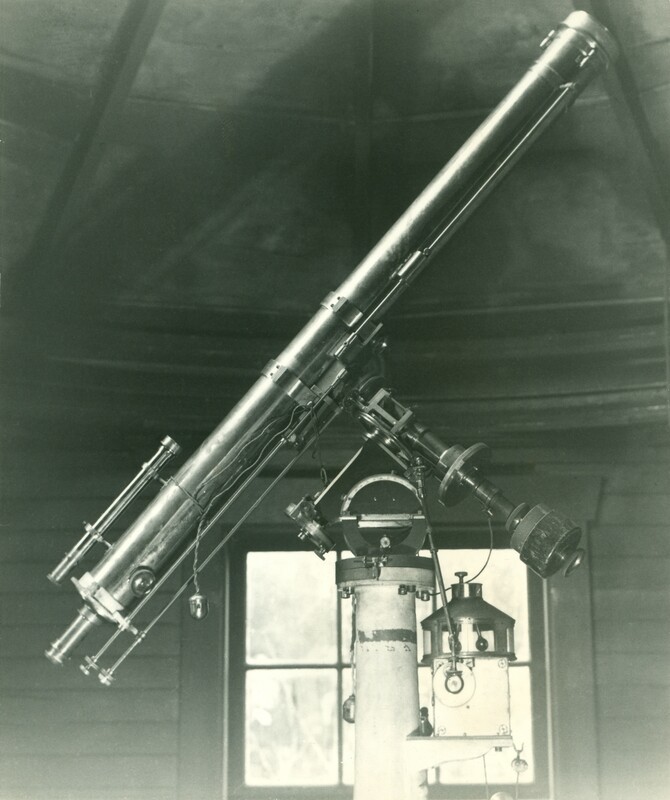 Miller's 4-inch refractor (manufactured by Wray & Co., London) in Boyd Brydon's observatory. 1882 A.F. Miller Miller Observatory, 280 Carlton Street, Toronto, ON. 1931 H. Boyd Brydon Brydon Observatory, 2390 Oak Bay Avenue, Victoria, BC. 1947 RASC Victoria Centre Brydon Observatory, moved to the grounds of Robert Peters' at Gordon Head. 1973 RASC Victoria Centre Moved into storage inside the Elliott Building at UVic. 2001 RASC Victoria Centre Moved out of storage and displayed at Centre of the Universe's main hall. RASC Victoria Centre's Wray-Brydon Telescope page.